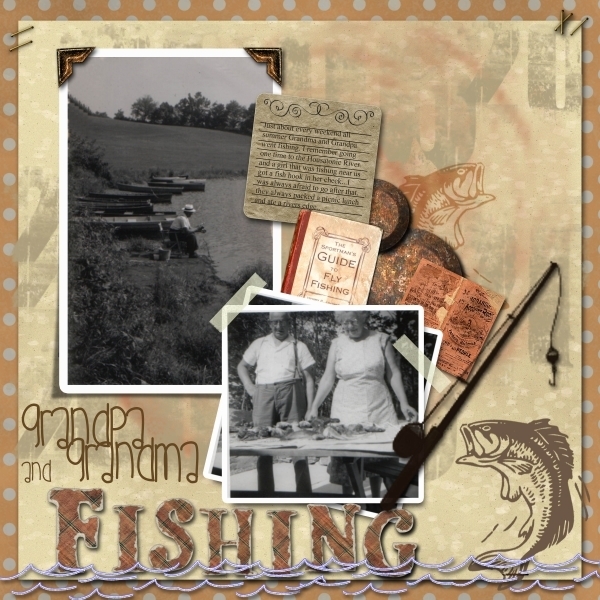 My grand parents loved to fish. Very neat layout. And what lovely photos. I like your fish background paper and the font in the title is tres cool! Wow, these are really cool photos Debby and I like the collection you used with them. Your journaling is great and you are really creating beautiful family heritage pages for your grandchildren to learn from.